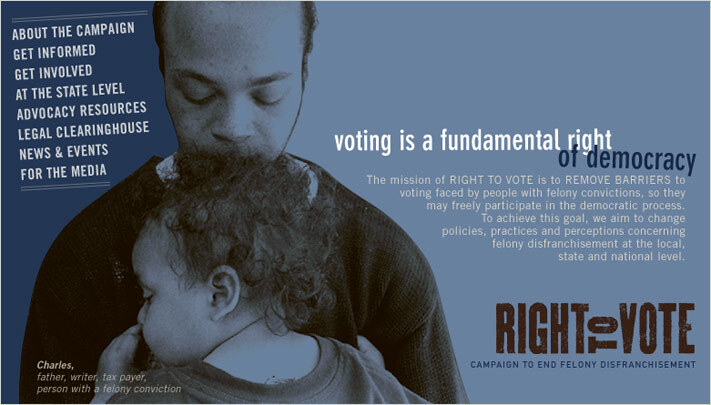 The Right to Vote Campaign is a national campaign to remove barriers to voting for people with felony convictions. 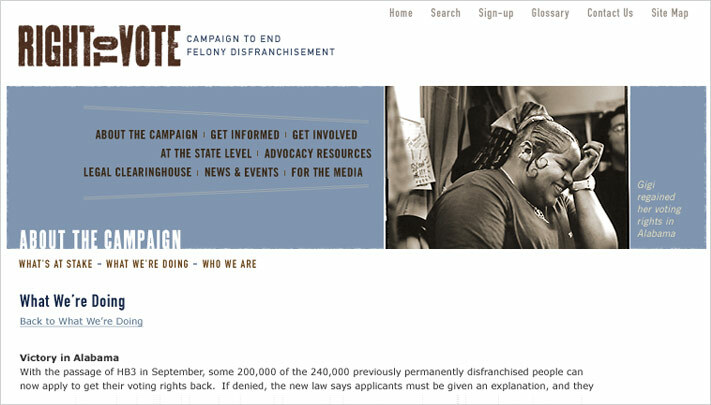 Led by a coalition of eight partner organizations including the People for the American Way, the ACLU, NAACP, the Brennan Center, and the Sentencing Project, among others, the Campaign is working in partnership with state-based and grassroots organizations on a range of initiatives, including state-level coalition building in five target states; research and public education; strategic communications; and litigation, legal counseling, and scholarship. 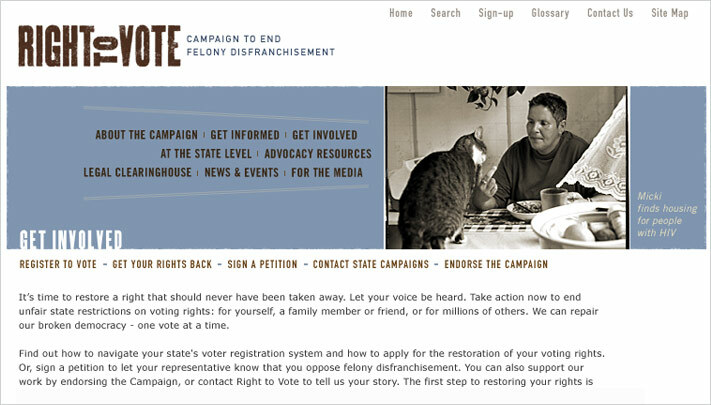 In its early stages of formation, the Campaign brought in Cabengo to develop the identity for the national campaign as well as to develop a dynamic website and content management tool to address the needs and requirements of the many stakeholders. 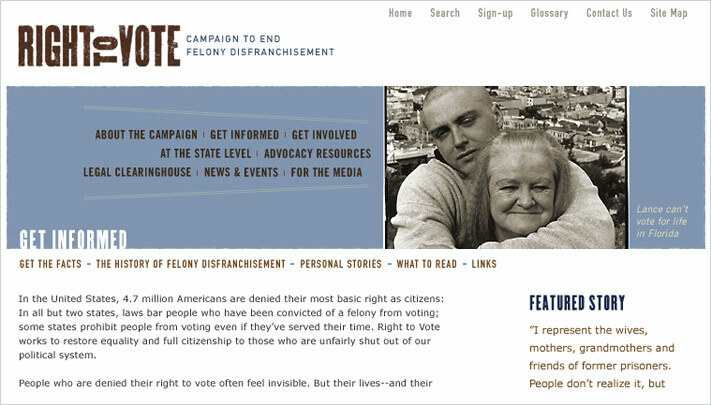 The new website, launched in March 2004, served as a national clearinghouse for information on the issue of felony disenfranchisement; a communications hub for the eight partner organizations and five state campaigns; a platform for public education; and a resource library for advocates and other interested communities. It also featured a comprehensive online legal clearinghouse, managed by the Brennan Center.